Countess Marcelle Weissen-Szumlanska was a 20th century archaeologist and ethnologist who had a particular interest in the prehistory of North Africa. In 1965 she published Origines atlantiques des anciens Égyptiens, which translates into English as Atlantic Origins of the Ancient Egyptians. 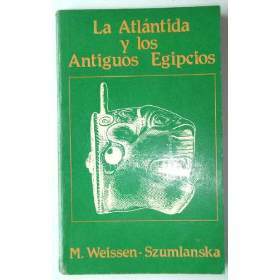 However, the Spanish version had the title of La Atlántida y los Antiguos Egipcios, which means Atlantis and the Ancient Egyptians. Nevertheless, whichever meaning is correct, the countess clearly claimed that the ancient Egyptians came to the Nile from the west.